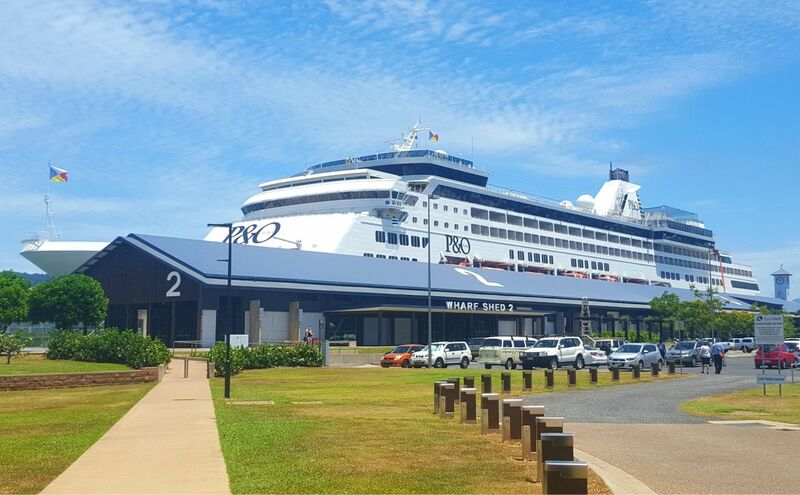 More than 9,000 passengers and crew will be bustling around the Cairns Cruise Liner Terminal from Friday to Monday as the Port of Cairns welcomes back-to-back visits from the P&O cruise ship stable. First to enter Trinity Inlet will be the home-ported Pacific Eden arriving on Friday, August 24, at 0700hrs after a seven-day sell-out PNG cruise. After 1396 passengers disembark Ports North will oversee the boarding of another 1440 comedy cruise fans who will join a 600-strong crew for the popular three-night trip. A hit with Far North Queenslanders in past seasons, the sold-out Comedy Cruise trip takes passengers out to sea for three nights to enjoy some of Australia’s best comedians on stage. The ship is expected to leave the terminal at 1600hrs. On Saturday the Pacific Explorer will arrive at 0900hrs for a two-day stay carrying approximately 2992 passengers and crew. The P&O sun-class cruise ship is one of the largest currently able to navigate the Trinity Inlet. She will depart at 1800hrs on Sunday. Pulling up alongside Pacific Explorer on Sunday will be Pacific Aria, arriving at 0700hrs from Darwin carrying approximately 2000 passengers and crew. She will stay for the day before departing at 1600hrs bound for Airlie Beach. And after three nights of hi-jinks on the high seas, the Pacific Eden Comedy Cruise returns on Monday at 0700hrs. She will turn-around and collect new passengers for the seven-day PNG cruise departing at 1630hrs.